Diode Dynamics is pleased to offer Premium HyLux HID Conversion Kit. This kit has been carefully designed from the ground up to be the highest-quality HID kit available on the market, without exception. Ballast: The ballasts are the most important component of an HID kit, as they provide the power. After years of providing mid-range and high-quality ballasts for vehicles of all makes and models, Diode Dynamics learned what was important in making a good ballast, and applied it when designing these. Controller Chip. Most digital (DSP) ballasts on the market still use generic chips, which are cheap, and work pretty well. However, when you need maximum quality, you need a new computer chip designed for one purpose. This is known as an Application-Specific Integrated Circuit (ASIC). These ballasts use brand new DSP ASIC chips for maximum efficiency and brightness, fast warmup time, and extremely stable operation. CAN-BUS. Some vehicles have systems which sense the power consumption. Since HIDs use less power than factory halogen bulbs, this can cause issues. You can resolve this by adding capacitors, known as warning cancellers, or some ballasts come with them built-in. However, sometimes that's still not enough to trick the vehicle! To fix it, this ballast has not one, but two CAN-BUS modules, which provide capacitance and resistance to the circuit to defeat even the most troublesome modern CANBUS systems. Even if your vehicle does not use a CAN-BUS system, these modules will provide extra power smoothing for reliable operation. Simply put, this ballast will work on any vehicle, the first time you plug it in. With this kit, you don't need to worry about capacitors, warning cancellers, or resistors. Igniter and Startup. You may have heard of ignition issues with other ballasts, caused by an igniter that is too small to withstand cold temperatures. No reason to worry with these ballasts- the oversized 24kV external igniter means that you will never have an ignition issue, even in the coldest temperatures. Additionally, the ASIC chip in these ballasts means that you only need 4 amps at nominal voltage to start up. These ballasts consume less power than any other on the market, meaning 100% reliable and fast startups, every time. Shielding. Ever noticed a little black plastic thing clipped onto your laptop charger cord? That's a ferrite bead, which is used to suppress high-frequency signals, which can create radio interference. All ballasts generate these signals, and most just have protection in the ballast. We've also included ferrite beads on the wire, to suppress them. LED Indicator. Convenience is key, especially during installation. To make things easy, we've added an indicator LED on the input wire, so you know that the ballast is getting power. Case. These ballasts are the smallest you will find, about the size of a pack of playing cards. The case is fully potted, or filled with epoxy, which makes them fully waterproof and shockproof. Most ballasts on the market are filled to some degree, but these are completely filled to the top, sparing no expense to ensure longevity. 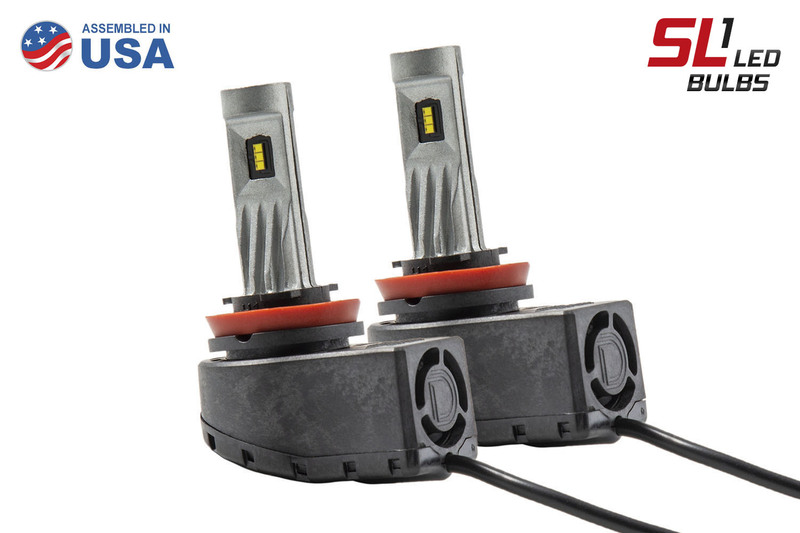 Bulbs: The bulbs included with Diode Dynamics kits are CNLight bulbs. CNLight is the top manufacturer of aftermarket bulbs in the world, providing the best quality available. You might see other high-quality kits on the market which also use CNLight bulbs. They provide superior life, brightness, and color attenuation when compared to generic HID bulbs, like those found in most cheaper kits on the market. The one-piece base design prevents any issues with separation over time, making the entire bulb extremely reliable. The CNLight bulb temperatures are rated accurately in Kelvin temperature at 35W, and have an industry-standard 3000 hours of estimated bulb life, which should outlast your vehicle. Please be aware that most HID bulbs are rated inaccurately from other manufacturers. 8000K is not dark blue, and 6000K is not pure white! We provide accurately-measured colors. 3000K is our lowest temperature, and has a pure yellow output, which is great for use in fog lights. 4300K is a pure white output, as seen on many factory HIDs. It will not have any blue tint to its color, and might appear slightly warm. 6000K is our most popular color, which produces an ice white color. It has a very slight hint of blue, and matches best with most LEDs. 8000K is our highest temperature, which produces an ice blue color. This is not a strong blue color though- it is still primarily white, meaning there will be no decrease in light output. Relay: Your Premium CAN-BUS HID Kit includes a brand new Heavy-Duty HID Relay, to power your HIDs directly from the battery, instead of the factory wiring. This relay has been designed from scratch, and utilizes a fully-sealed, waterproof relay, with flyback diode, and even has a built-in capacitor for input power smoothing. All wires are sleeved with braided techflex for an attractive appearance and extra protection. The input wires are each a meter long, and the output wires are one meter and two meters, which means the wiring will be long enough for even the biggest vehicles. The single-ground design makes installation easy. This relay was designed with reliability, convenience, and long-life in mind. Warranty: Our warranty is through Diode Dynamics, LLC, so you can be assured that you will get fast and friendly service should you have any problems. There is a 3-year limited warranty on all HID Kit components, including HID Bulbs, Ballasts and Relay. Shipment: We carry our own inventory, so no waiting for them to be shipped from overseas, or waiting on big, unreliable suppliers to ship them. They ship right from our own inventory, in St. Louis, Missouri, usually the same day you order. Optional* Heavy-duty HID Relay Harness to protect your factory electronics. Last edited by Diode Dynamics; 08-04-2016 at 09:49 AM. Looking to upgrade your Supra's headlights with a high-quality LED replacement? 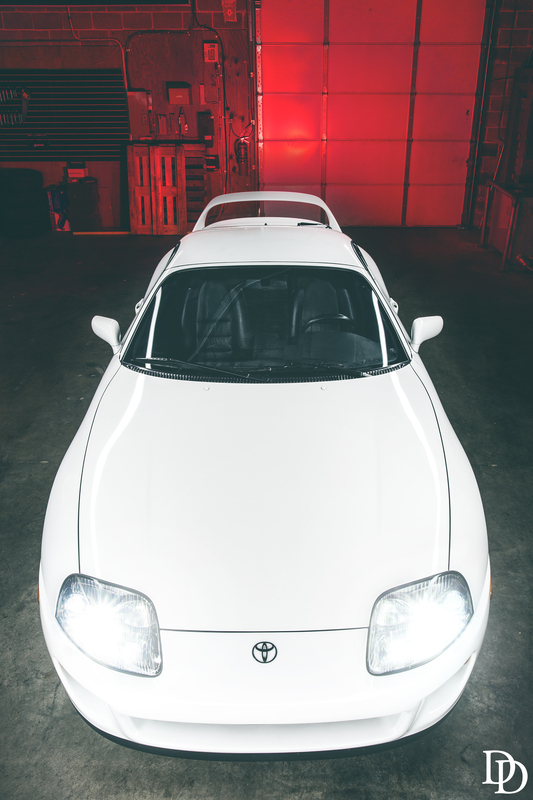 Direct, plug and play LED low-beam replacements for your Supra! hello sir i just ordered a pnp kit for the lowbeam, do you guys have fog light or high beam? if so can i add to me i order? We do have fog light and high beam options ('94-98 models) as well. To change your current order or place a new one, please go ahead and give us a call at 314-205-3033 Monday-Friday 9 a.m.- 5 p.m. CST, or shoot us an email at [email protected], and our service team will be happy to help! Has anyone sent in any before and after pics of these low beams installed? I haven't seen any photos posted anywhere here, or on IG, unless I have to scroll back extremely far. Thanks!